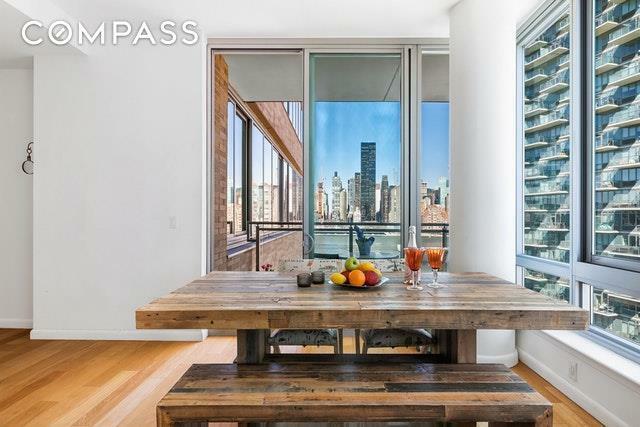 This beautiful one bed, one bath apartment features floor-to-ceiling windows, hardwood floors, and a private balcony facing the water. 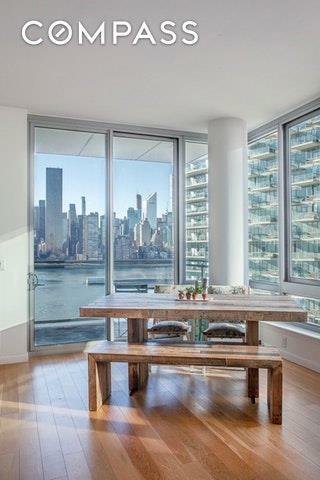 The panoramic, city and water views make the perfect backdrop to the spacious and sunny living room which leads into the gourmet kitchen which features stainless steel appliances and stone countertops. Property features also include; washer/dryer in unit, marble bathroom with soaking tub, and lots of closet storage. 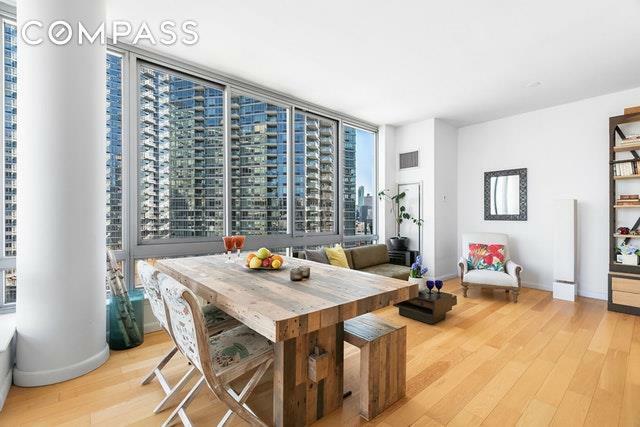 This prestigious and most sought-after building is the only water-front condo in Long Island City, and 1403 is currently the only one bedroom available! Residents have free access to all modern amenities; swimming pool, fitness center, cinema room, children's play area, billiards room, yoga/pilates room, spa/sauna, massive indoor and outdoor lounge. 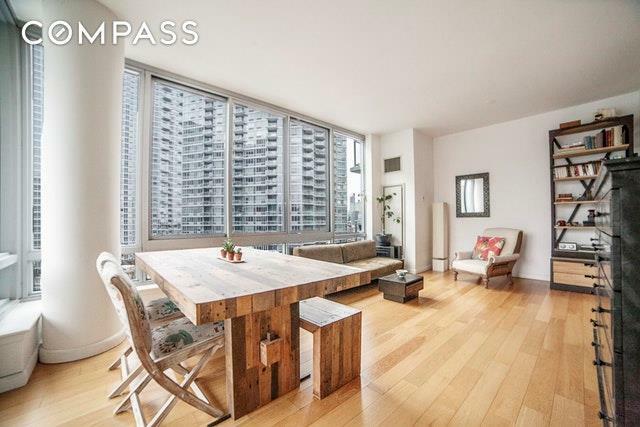 Long Island City is only 5 minutes from Manhattan; the 7, E, M, and G trains are moments away and the water taxi stop outside of the building makes traveling by water easily accessible. Pilot tax program is in place until August 2027. Listing courtesy of Silvette Julian of Compass. © 2019 Hudson Gateway Multiple Listing Service, Inc. All rights reserved. IDX information is provided exclusively for consumers' personal, non-commercial use and may not be used for any purpose other than to identify prospective properties consumers may be interested in purchasing. The information appearing herein has not been verified by the Hudson Gateway Multiple Listing Service, Inc. or the Hudson Gateway Association of Realtors, Inc. or by any individual(s) who may be affiliated with said entities, all of whom hereby collectively and severally disclaim any and all responsibility for the accuracy of the information appearing at this web site, at any time or from time to time. All such information should be independently verified by the recipient of such data. This data is not warranted for any purpose. The data relating to real estate for sale or lease on this web site comes in part from HGMLS. Real estate listings held by brokerage firms other than Mark Boyland Real Estate Team | Keller Williams Realty Partners are marked with the HGMLS logo or an abbreviated logo and detailed information about them includes the name of the listing broker. Data last updated: 2019-04-20T18:15:11.25.